Endter-Wada, J., D.T. Glenn, C.S. Lewis, R.K. Kjelgren, and C.M.U. Neale. 2013. 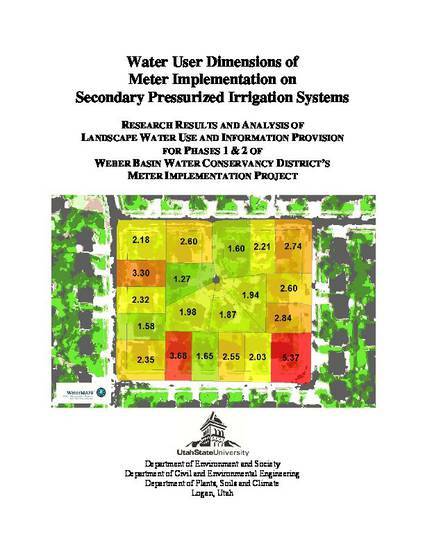 Water User Dimensions of Meter Implementation on Secondary Pressurized Irrigation Systems. Research Report for Weber Basin Water Conservancy District and the US Bureau of Reclamation. April 2013. 75 pages.